When most people think of the Roaring Twenties (and Thirties) they think of speak-easies, flappers, and bootleggers. And running some of that were the gangsters, men who quickly discovered they could deflect the ammunition of the day by ducking behind their cars and wearing their version of a bulletproof vest. Renowned outdoorsman Elmer Keith was one of those responsible for the creation of the .357 Magnum, a round capable of penetrating those barriers and providing the velocity and energy needed in the law enforcement community. The cartridge has a deserved reputation for stopping power and is used for self-defense by many experienced shooters. These are JSP – Jacketed Soft Point – rounds specifically designed for self-defense. They mushroom on impact, immediately beginning to create a catastrophic wound channel, and their jacket slows them down, controlling expansion and allowing for deeper penetration. 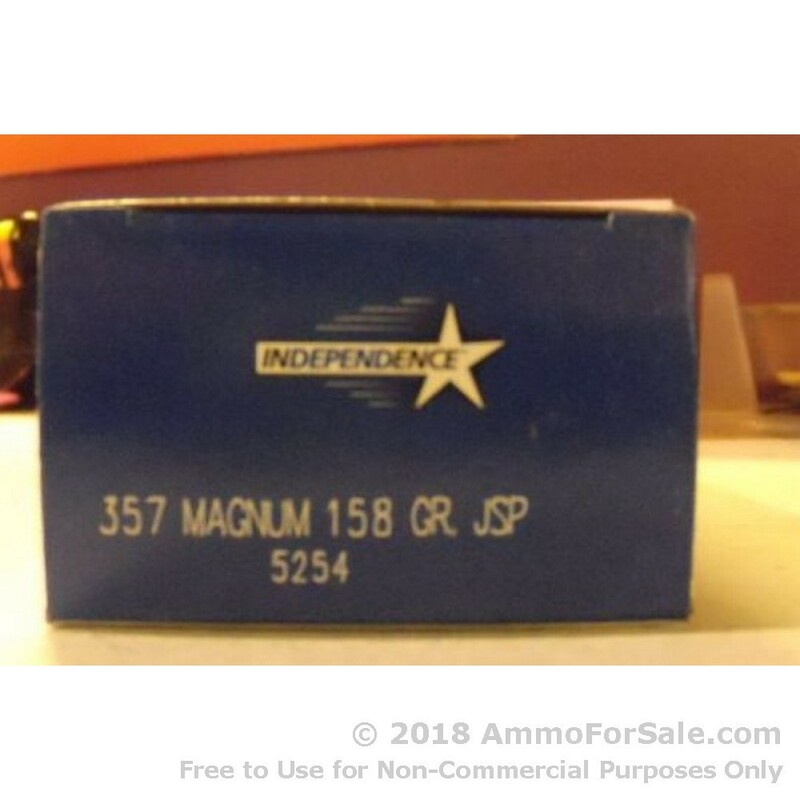 At 158 grain they’re considered medium-weight; they’re a nice size for self-defense because they’re light enough to still be fast and heavy enough to make a greater impact. Their ballistics speak for themselves: they have a muzzle velocity of 1,240 feet per second and a muzzle energy of 505 foot-pounds. Independence manufactures their ammunition in Independence, Missouri. They’re a subsidiary of the legendary company ATK, which is known for their stellar production of precision and strike weaponry and satellites, among other things. 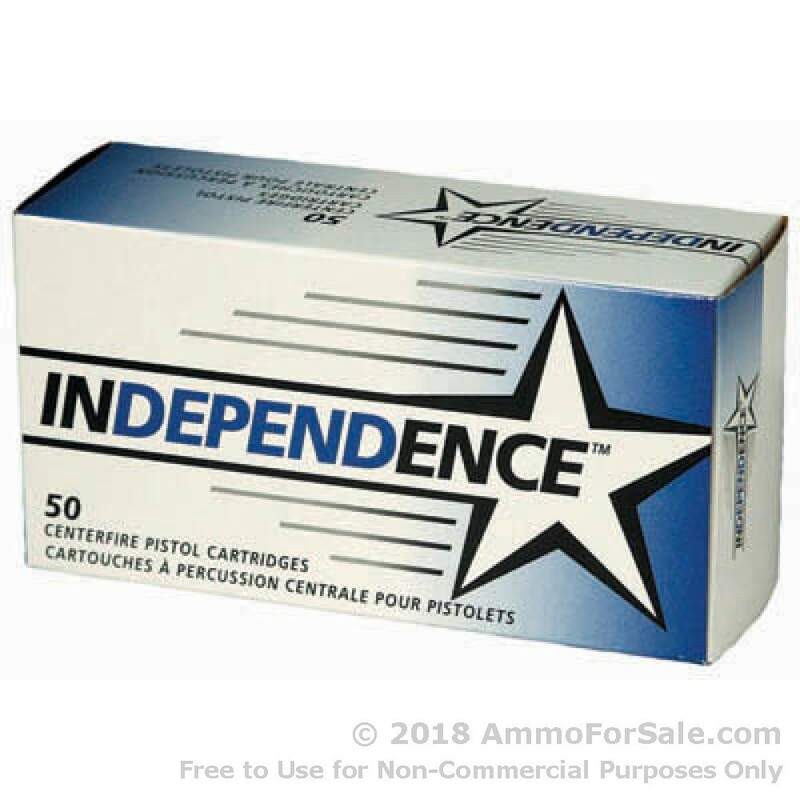 There are 50 defense rounds in this box, so if you want to keep your gun loaded for personal protection and you believe in Independence, get your freedom-loving hands on this ammunition.